Sequel to the Bram Stoker's horror classic. From awarding winning writer Steven Philip Jones (Sherlock Holmes, H.P. Lovecraft's Worlds) and illustrator John Lowe (DC's Aquaman, Batman, Green Lantern). 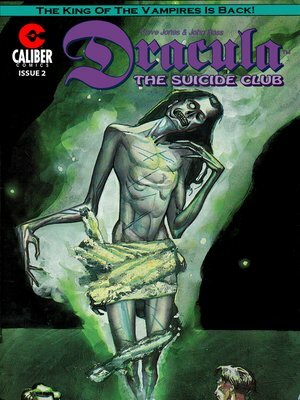 THIS ISSUE: Members of London's Suicide Club are men who desire death but lack the nerve to take their own life. What the members do not know is the club's chairman is Count Dracula, who repays Satan for his resurrection by sending their cursed souls to the Devil even as the Vampire King plots to conquer England. When occult specialist Sir John Chandros tries to infiltrate the club to learn more about its secrets, he is marked as the Suicide Club's next victim.